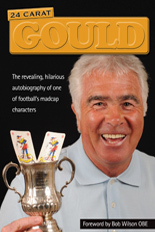 Derek Dougan…..could he have been a transfer-market go-between? Friday, March 1: Was flattered to receive a phone call from Central TV requesting a little help with the background information for their coverage of Gordon Banks’s funeral next Monday. What a turn-out that is going to be! My mind goes back to a chat with Derek Dougan in his conservatory and a revelation that he recommended to the Molineux management that they should push the boat out to sign his former Leicester team-mate – in the Ronnie Allen era if I remember right. Saturday, March 2: A successful and already enjoyable match day was further lit up by the chance to have a long conversation en route with Derek Mountfield. The former centre-half, best known for the highly impressive spells he had at Everton and Villa prior to his Molineux arrival in 1991, kindly dropped by to pick me up as he was doing a turn in the corporate areas before the Premier League visit of Cardiff today. Derek had a replacement left knee earlier this season but is happily driving and playing golf again. 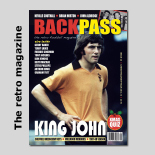 Tuesday, March 12: Yet another brilliant offering from the editorial team at Backpass, with issue 63 recently rolling off the presses. Wolves fans continue to be very well served by this outstanding magazine, with Steve Gordos writing an extended feature on 1950s Molineux star Colin Booth and a piece on Bob McNab being used elsewhere. There is also a lengthy obituary on Bill Slater and the back-page cover shot is a nostalgic image from the Wolves v Manchester United game at a snowy Molineux in 1955-56. Saturday, March 16: Didn’t Molineux just rock for Wolves’ stunning FA Cup victory over Manchester United tonight! What an atmosphere it was. Stuart Pearce and Pat Crerand were among the heavyweights among us in the media area, the latter saying afterwards that he regarded Champions League qualification as the highest priority for a club with whom he won the European Cup in 1968. Now to avoid the other Manchester side in the draw for the semi-final…..
Tuesday, March 26: John Pender goes for years and years without doing any media interviews and is then asked to do two in a matter of a few weeks. There must be a joke in there about buses, especially as he now drives them for a living. Following on from our extended feature on him in mid-February, the one-time centre-half was contacted by our friends in the West Country and we were delighted to receive a copy of Mark Leesdad’s resulting article in the Sunday Independent in the post today. There were some nice lines in there, too, like the fact he shared lifts to training at Bristol City with Steve McClaren and keeper Keith Waugh and was appointed Wolves captain by acting manager Jim Barron in 1984. Saturday, March 30: Much gratitude to Mike Stowell for sorting out tickets for the Express & Star’s John Lalley and I for Leicester’s Premier League home victory over Bournemouth this afternoon. It’s not easy to be sure from the sidelines but it appears from the body language in the technical area that he has the beginnings of a good working relationship with his new boss, Brendan Rodgers. Posted on: Tuesday, April 2nd, 2019.